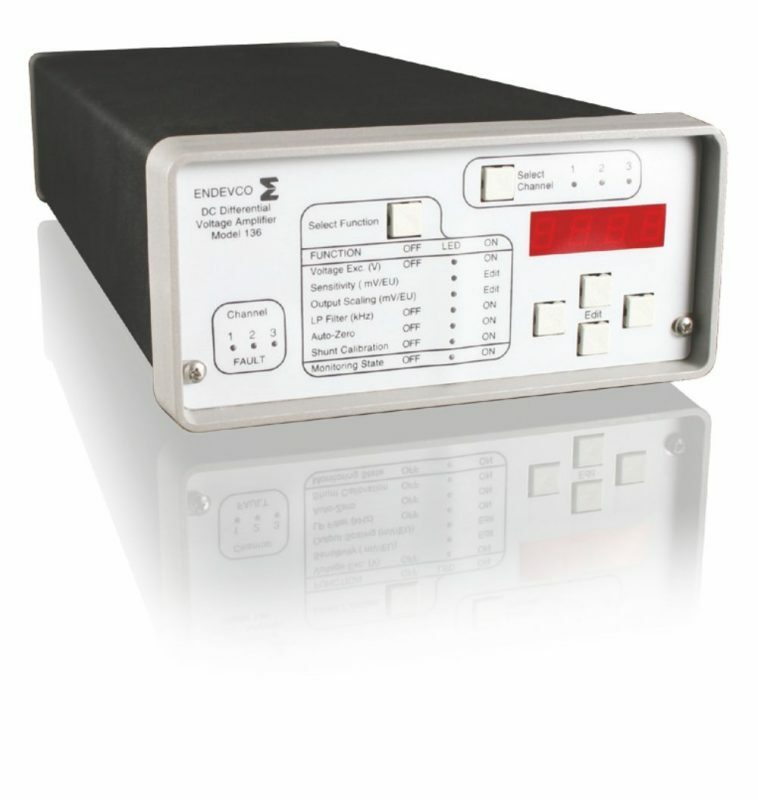 Endevco® model 136 is a three-channel, DC amplifier that is manually or computer programmable. Endevco® model 136 is a three-channel, DC amplifier that is manually or computer programmable. Manual control is accomplished at the front panel by means of a “select channel” push-button, three (3) “channel LEDs”, one “select function” push-button, five “function LEDs”, a four character LED display, showing the state of each function/channel, and four “edit” push-buttons to change the entries in the LED display. 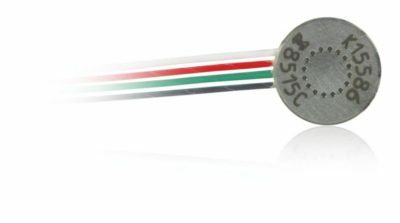 There are three LEDs used as fault status indicators for the auto zero function. 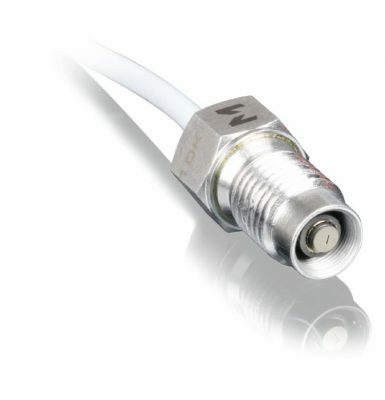 Computer control is accomplished using the standard RS-232 port and optional application software. no-monitoring. In the monitoring mode the LED display indicates the RMS reading of the signal present at the output of the selected channel. The non-monitoring mode turns off the LED display for lower noise applications and to minimize power consumption. In the programming mode, the unit is ready for manual programming or editing of existing channel setups. The unit will automatically return to the normal mode of operation after 20 seconds of inactivity of the front panel or after pressing the “select function” push-button while the “monitoring state” function LED is flashing. The rear panel contains (on a per-channel basis) a BNC output connector, a 9-pin “D” input connector, the RS-232 connector, and the input power connector. Three model 136 units may be configured in a 19-inch rack mount adapter. The standard unit is powered by 90-264 VAC, 50/60 Hz. The -1 option is powered by 9 to 18 VDC, making it ideal for portable use or for automobile test applications.